Hey there... I need some help with my bike. I just purchased the following bike via CL. The question I have has to do with ID'ing the size of the bike. I measured from the center of the BB to the center of the top tube... it measures 19". Any idea? If it measures 19" then you have a 19" frame. Typically mountain bikes are measured using inches instead of cm. Measure to the top of the seat tube. So it might be a 20 inch. Various manufacturers measured frame size differently. I myself do not waste time learning how brand A, brand B, or brand C measured frame size. Instead, I just measure it a consistent way myself. Does it matter I might call a bike a 20 inch whereas the manufacturer called it a 19 inch? It sure does not matter to me. It's definately a 19" or 20" frame. I have a 92 that I suspect is within a year of two of yours and it's a great riding bike but too small for me. One of the things I keep my eyes open for is that same style of Rockhopper but one size larger. It's not a high priority project but it is something I think I would like to pursue in the future. I love that blue color... I'm 5'10 and I feel great riding it, but it strikes me as odd that the frame doesn't show the size. I'm also in the hunt for a Trek 970. I live in California and we see a lot of rockhopper bikes pop up, the Trek is a lot more difficult to find. 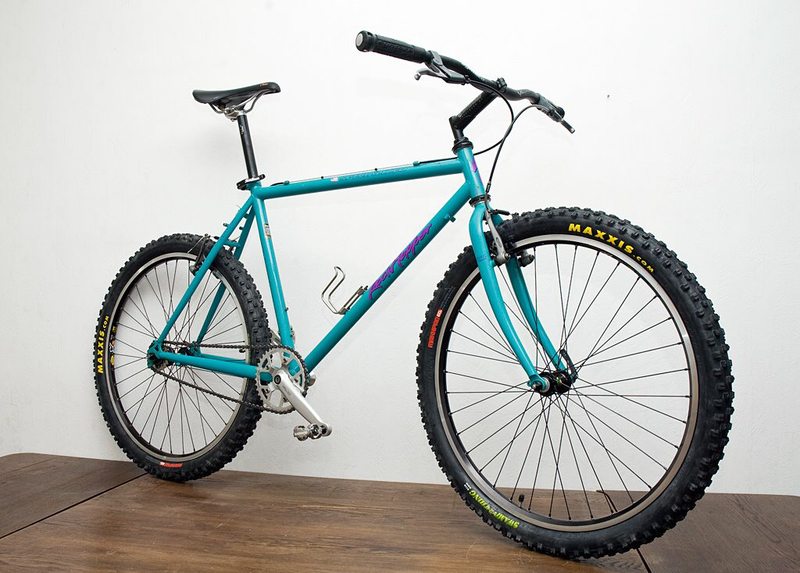 I think by the standards of the 1990's, the 20" frame would be the right size for me but now I'm too influenced by Grant Petersen and I don't plan to ride on any technical terrain so the larger size is more appropriate for my 5'11" height. I've been a dedicated Trek fanboy since 1995 but the Rockhopper frameset really impressed me and I would choose a 22" Rockhopper over a 22" Trek 930.